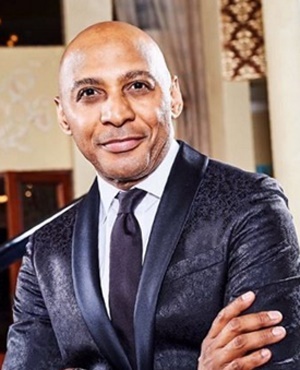 “Fill up your toolbox with skills and qualifications.” These are words that Romeo Kumalo was once told and what he has applied throughout his career in the corporate world. The CEO and co-founder of Washirika Holdings has had a career that has spanned more than a decade in the information and communication technology (ICT) sector at telecommunications giant Vodacom where he rose through the ranks until he was CEO of Vodacom’s international business, which spanned the company’s interests in the rest of Africa. It was while at Vodacom that he was exposed to the best practices in the world. While at Harvard Business School he was able to share ideas with innovative entrepreneurs in Silicon Valley. "He stayed in Tanzania for several years, though he admits his Swahili remains “just enough to get by”. “Going to Harvard changed my perspective on a lot of things,” he said, adding that among those was his perspective on success and its definition. Having almost reached the ceiling at Vodacom, Kumalo’s next move saw him partnering with former CEO of SuperSport and long-time industry associate Happy Ntshingila, and this led to Washirika Holdings being born. Washirika, the Swahili word for partnerships, is exactly what the company values and prioritises as a Pan-African investment holding and private equity company. “We value partnerships. We add value with our partnerships. The kind of partnerships we enter into are smart and we want smart partnerships that grow exponentially. "We want one plus one to be 10 and that is what we do at Washirika,” he said. Kumalo said that he had a lot in common with Ntshingila. He is also adamant that regulations in the ICT sector have not been able to create an enabling environment in which new black players can thrive. “Hopefully, with the current white paper, things will change,” he said, adding that in the ICT sector, like many other sectors of the economy, there were numerous players but only two or three companies own 80% of it because they had a dominant position in the market. His passion about youth development is evident in the initiatives he is involved in, including being a director of Grotech Management Company, a venture capital fund and very keen investor in tech start-ups. Grotech is also a section 12J company that invests in high-growth digital technology companies and this sort of company allows investors to write off 100% of their investments against their taxable income. The former Metro FM boss is confident that the ICT sector holds the key to unlocking the economy for the masses. “ICT has so much potential. The sector needs to be opened up through collaborative efforts between the big players, government and the new smaller players. "If there’s that effort then it can definitely grow and transform,” said Kumalo. After disappearing from the limelight while at Vodacom, Kumalo returned to the small screen as one of the tycoon entrepreneurs participating in the local adaptation of the Shark Tank show. It is a business-themed reality series that features industry gurus or “sharks” who give budding entrepreneurs the chance to make their dreams come true through personally investing their own money in the entrepreneurs’ businesses. “It was not an easy decision to make and I agreed because I can be myself, which is a businessman, on the show and I absolutely love the concept,” he said of his role as one of the Shark Tank. The transition is also something Kumalo is familiar with. “When I left SABC, some people initially did not take me seriously in the boardroom because they associated me with the limelight, but that was a long time ago,” he said. Though he has extensive insight in the ICT industry, he oozes passion about music, particularly jazz. “I love music. I travel across the world to attend jazz concerts,” he said, at the same time dismissing the possibility of venturing into the music business again. He is also a keen golfer, cyclist and marathon runner. Washirika has a range of investments in communication, technology and telecoms infrastructure companies as well as other investments in property and construction businesses. Kumalo said the company has a lean head office structure with the majority of their employees based in the operational companies. Entrepreneurship is something he has learnt throughout his life, from his first job as a packer at Pick n Pay to the numerous menial jobs he held as a student. Aside from being an alumnus of Harvard Business School, Kumalo holds a master’s degree in commerce from Unisa, and has executive management certificates from the University of the Witwatersrand and European business school Insead.